Add something to your family's dinner tonight. Serve baked manicotti shells. I had so much fun stuffing the manicotti shells. Cook manicotti according to package directions. Drain, rinse with cold water to cool. In skillet, over medium heat, add ground beef, onions, salt, pepper and Italian seasoning, cook until beef is no longer pink. Add 1 cup pasta sauce, garlic and 1/4 cup Parmesan, stir well. Add thin layer of sauce on bottom of casserole dish. Working over casserole dish, fill manicotti with meat using a spoon. Top manicotti with remaining pasta sauce, Parmesan cheese and Mozzarella cheese. Bake at 350 degrees, until cheese is melted and heated through, about 12 to 15 minutes. Enjoy! Looks great, and with all that garlic, I bet it tastes great too! Looks so YUMMY,and melted mozarella cheese even bettter !! I don't think of stuffing shells as fun (unless Taylor is helping me) I love manicotti. And garlic is amazing! Thank you for teaching me about garlic! Well personally I am a big time garlic fan, so I love these facts as well as the dish! I love garlic and manicotti! Yum! looks over the top fabulous! Yum I just love manicotti!! That is yummy-ness on a plate! 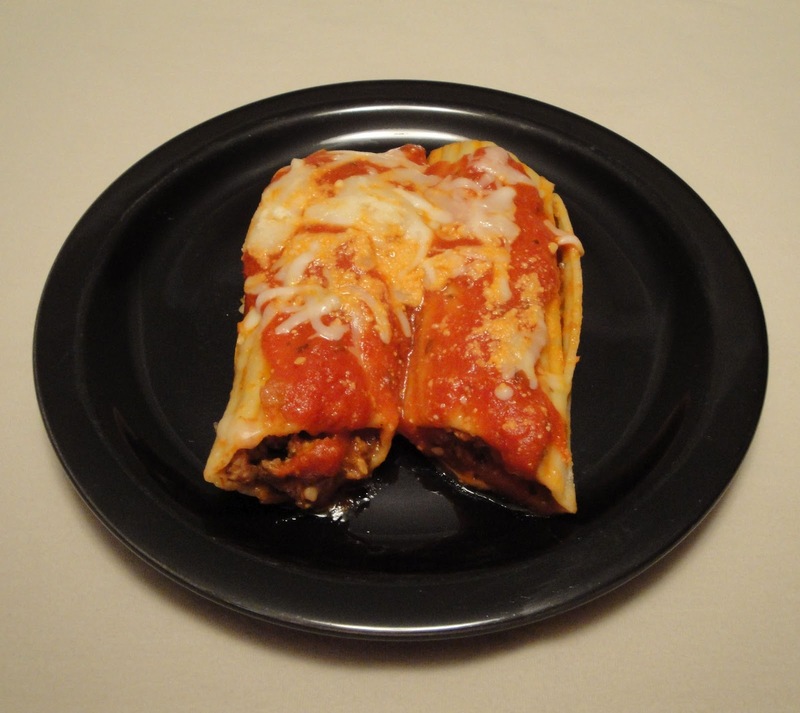 Love manicotti with any kind of filling! Try stuffing manicotti using a frosting piping bag, a dessert decorator pipe or a gallon zip bag with one corner cut to let the filling out. It would be a lot easier compared to using spoon. It has been a long time since I've had manicotti--I remember having a terrible time stuffing the shells the last time I made them. Christine, this looks delicious! Quick, easy, homey comfort food. Always welcome and delicious. I want to make this for my b-friend. He would LOVE it! Thank you, Tiffany! If you make this, let me know what y'all think. I like getting feedback on my recipes. Enjoy! I love manicotti but I've only had it with just cheese. I'll have to try this next time! What a wonderful pics of Beef And Cheese Manicotti you have here.